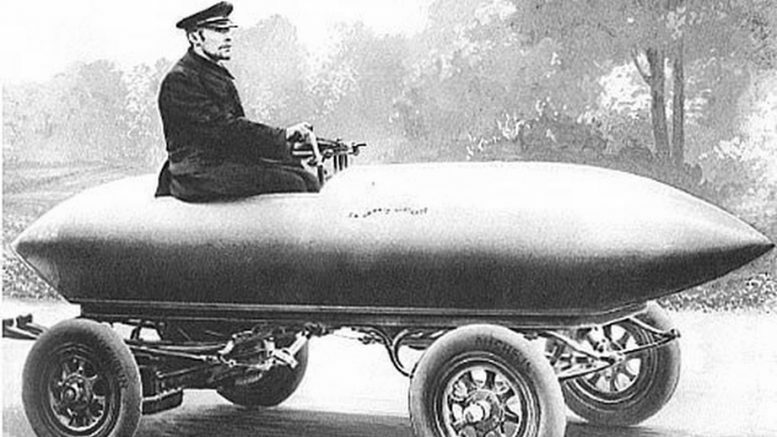 In 1899 the Belgian, Camille Jenatzy, broke the speed barrier at 100 kilometres an hour in a cigar shaped electric car known as La Jamais Contente. In 1900 at the World Exhibition in Paris k.u.k Hofwagenfabrik Ludwig Lohner & Co presented the electric Lohner-Porsche. And in 1901 half of all automobiles in New York had an electric drive. More than 100 years later the auto industry is again taking a serious look at hybrid and electric cars, taking us back to the future. The sector is pumping vast sums of money into new models and governments are hoping to lure – and keep – auto companies and their job-generating high-tech factories. In the United Kingdom, for example, Chancellor Philip Hammond announced in last month’s Autumn Statement “£390 million to build low emission vehicles and develop autonomous vehicles, plus a 100 per cent first year capital allowance for the installation of electric vehicle charging infrastructure”. Chief-Exec.com asked auto companies about their plans for manufacturing – particularly in the UK – including what new models were on the drawing board, plans for investment and research and development (R&D) and what discussions, if any, were in train with government. Most declined to comment on the latter. Toyota builds the Auris Hybrid and Auris Touring Sports Hybrid at its UK plant in Derby. The hybrid engines are built in its north Wales Deeside engine plant. “Deeside has recently received a £7.1m investment to build the hybrid engine for the new Toyota C-HR, which began production in November at its plant in Turkey,” a spokesman said. However, the company did not disclose the details of meetings with nationally elected officials, he said. Nissan produces the Nissan LEAF and batteries in its Sunderland plant. One of only three LEAF manufacturing sites globally, it is the only one in Europe. A spokesman said Nissan employed about 7,000 people at the plant. A spokesman for Honda said the company made a “significant investment” in R&D and would shortly be introducing to the UK market a hydrogen powered vehicle, the Clarity. It was yet to be decided if any would be manufactured in the UK. Honda, he said, met on a “regular basis” with UK government representatives. Jaguar Land Rover did not respond to Chief-Exec.com’s questions, but in a recent statement Ian Callum, Director of Design, said it would have a battery powered vehicle on the road by 2018. “The I-PACE concept is a radical departure for electric vehicles. It represents the next generation of battery electric vehicle design. It’s a dramatic, future-facing design – the product of authentic Jaguar DNA matched with beautiful, premium details and British craftsmanship. A spokesman for Porsche said the company would produce the Porsche Mission E – “a fully battery electric vehicle which will offer the breadth of performance expected of a sports car from Porsche” – that would be on sale by the end of the decade. It would be built in Stuttgart, Germany. Porsche has also announced a joint venture for ultra-fast, high power charging along major highways in Europe, with the company planning to invest about €1 billion and create more than 1,000 new jobs. “The four-door car with four individual seats has a system power output of over 600hp (440 kW). The vehicle will thus achieve both acceleration of 0 to 100 kmh in under 3.5 seconds and a range of more than 500 km,” Porsche said. A spokesman for Daimler said it was pursuing a three-lane strategy en route to “emission-free mobility”. “By 2025 our portfolio will feature more than 10 fully electric vehicles in the passenger car segment alone: from the smart to the large SUV,” he said. In 2015, Daimler AG invested more than €6bn in R&D projects. In 2016 and 2017, the investment had risen to €14.5bn, with more than half being used for green technologies. “We are investing a total of €1bn in our own battery production, including €500m alone in the construction of our second battery factory in Germany,” he said. There are no production facilities in the UK. A spokesman for the Volkswagen Group said the company had recently committed additional investment to increase its number of models and announced plans for a new pure-electric vehicle platform that would enable the Volkswagen Group to produce a new range of medium size electric models. “These will have a much greater range than current medium size electric cars, have the exterior dimensions of a Volkswagen Golf but with the interior space of the class above (e.g. Volkswagen Passat),” he said. About 9,000 jobs would be created, mainly in Germany. The trade body, the Society of Motor Manufactures and Traders (SMMT), of which Volkswagen is a member, was in constant dialogue with the UK Government to accelerate the adoption of low emission vehicles. Are GMOs really the cream of the crop?